Violet’s Song was built in 2010. 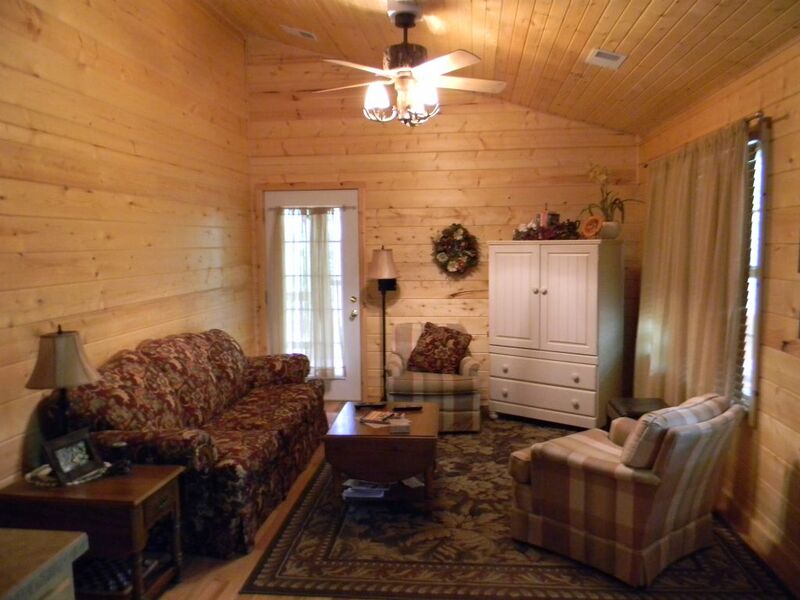 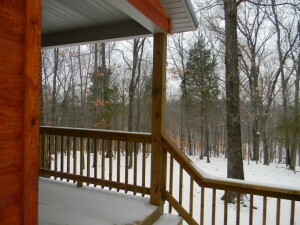 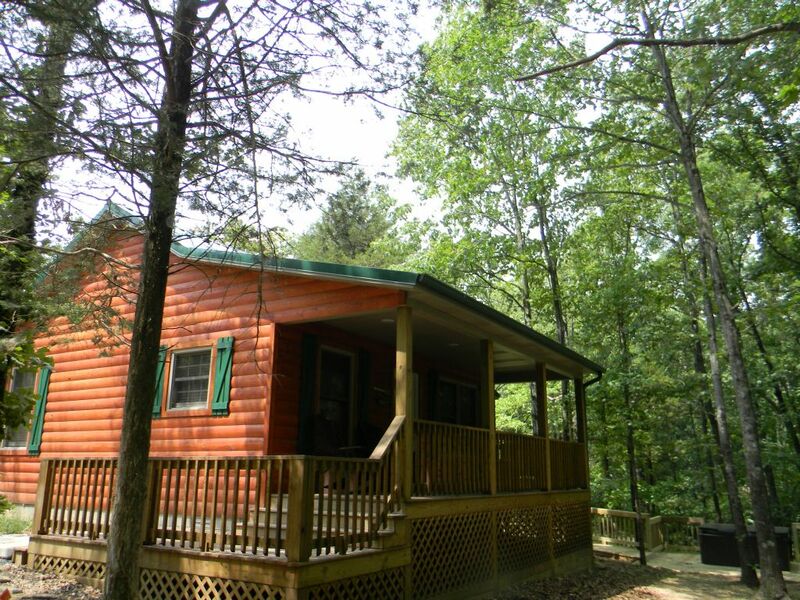 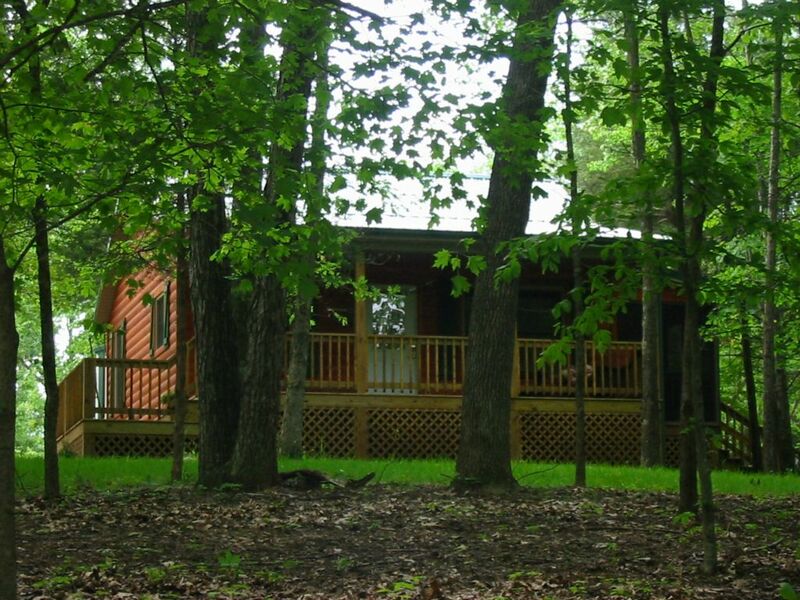 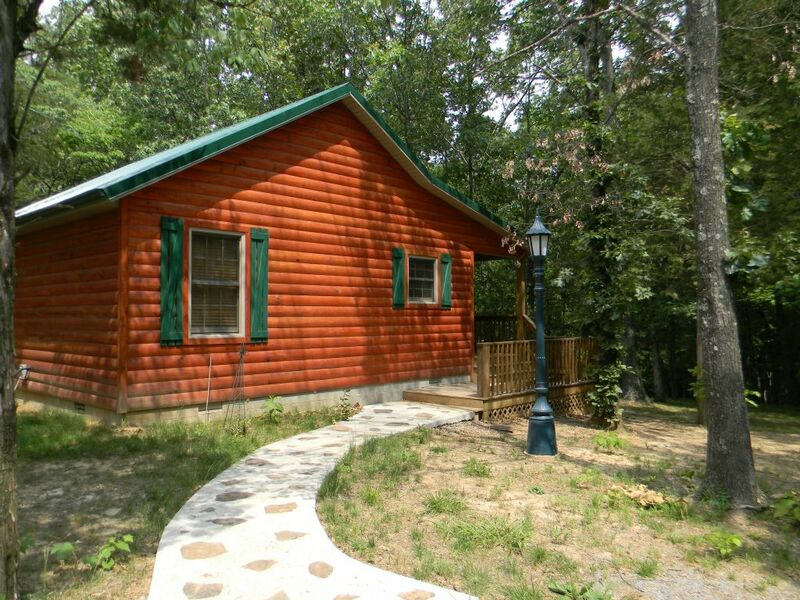 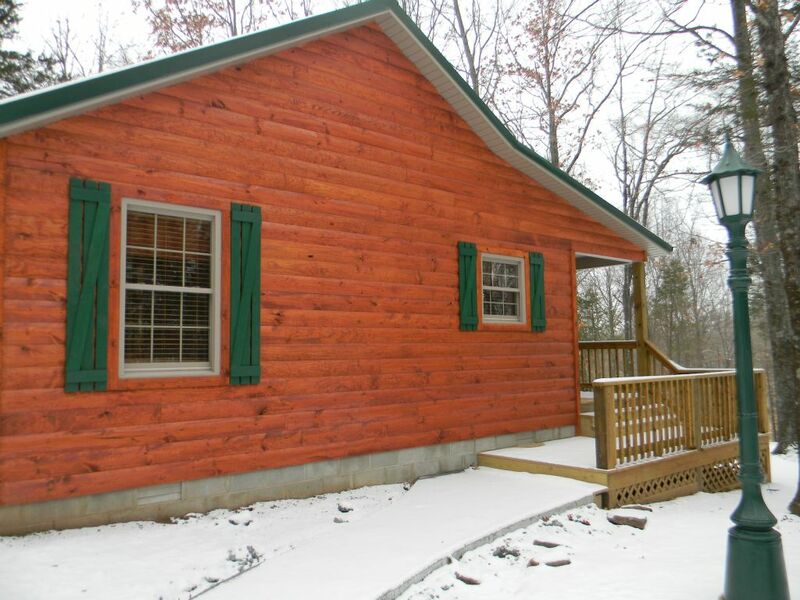 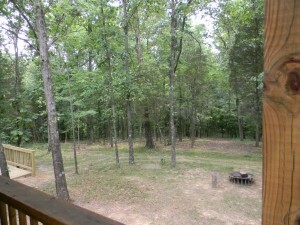 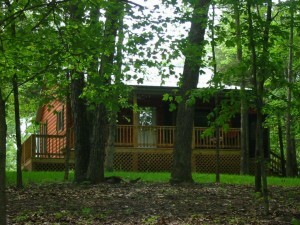 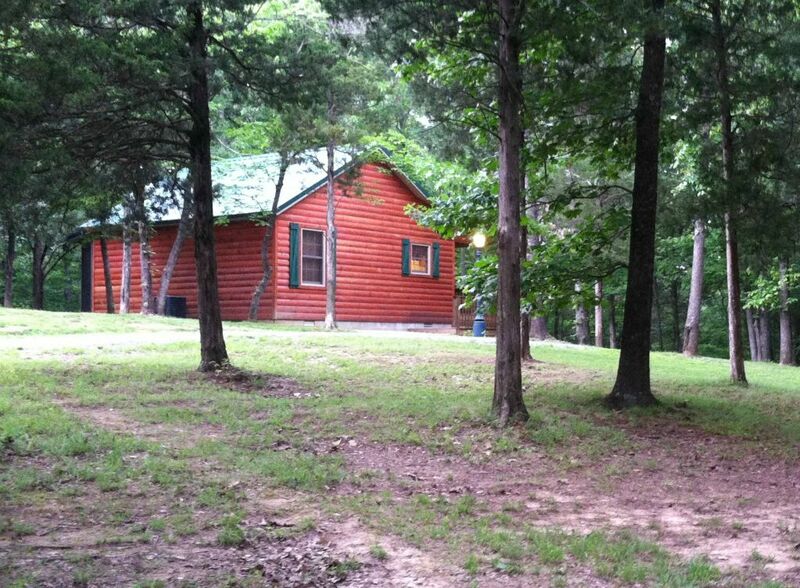 It is a log sided log cabin that faces the woods. 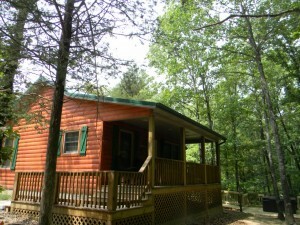 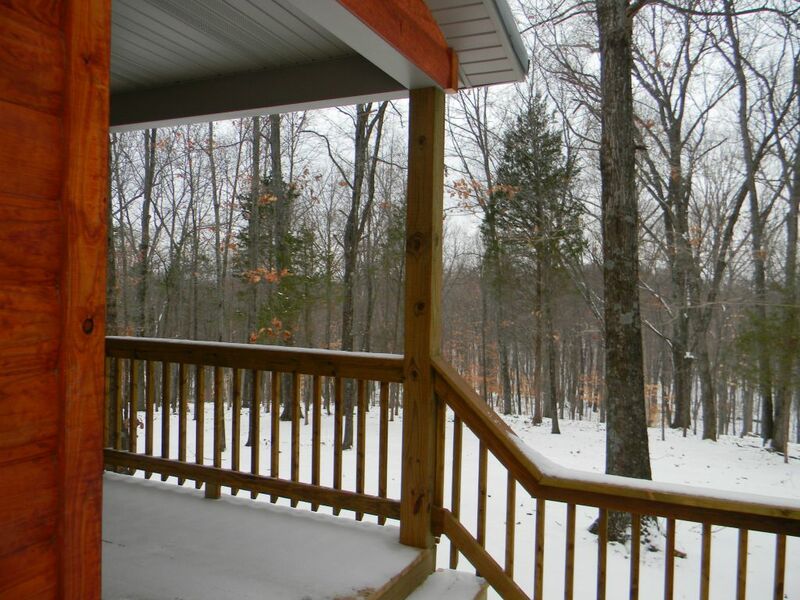 It has an open front porch and a screened side porch. The two bedroom unit has a queen memory foam mattress and the other is a set of bunks, twin on top and full on the bottom. 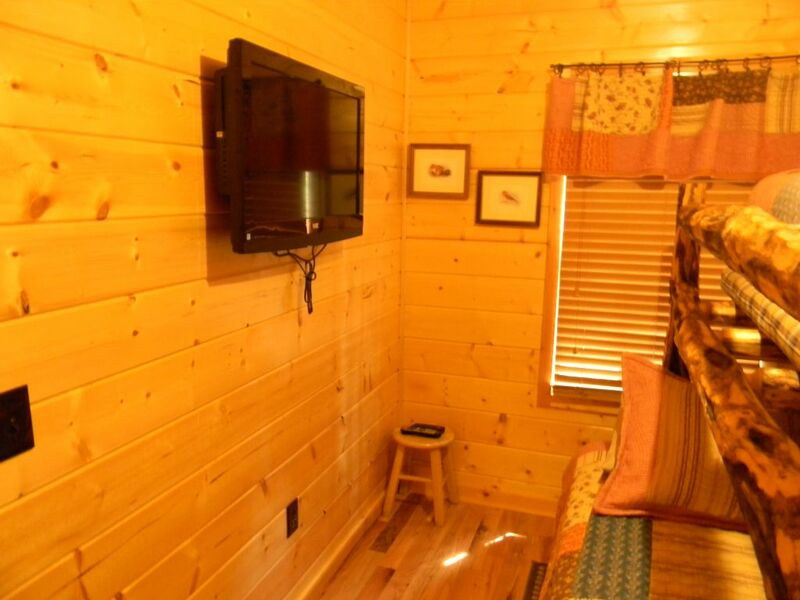 There are three televisions, one in the living room and one in each of the bedrooms. 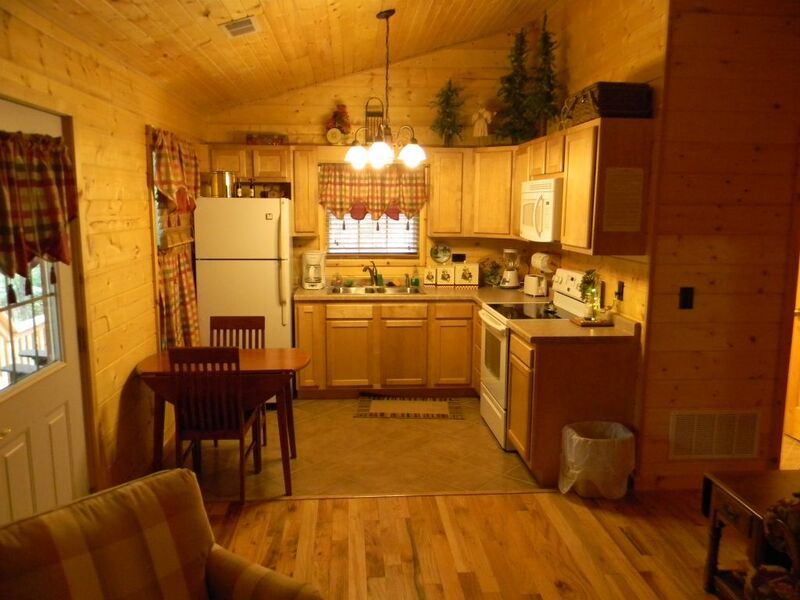 The kitchen is full size with an electric stove/oven, refrigerator, garbage disposal, breakfast table, plates, glasses, flatware and an assortment of small appliances. Violet’s Song has central heat and air to keep you comfortable in any season. 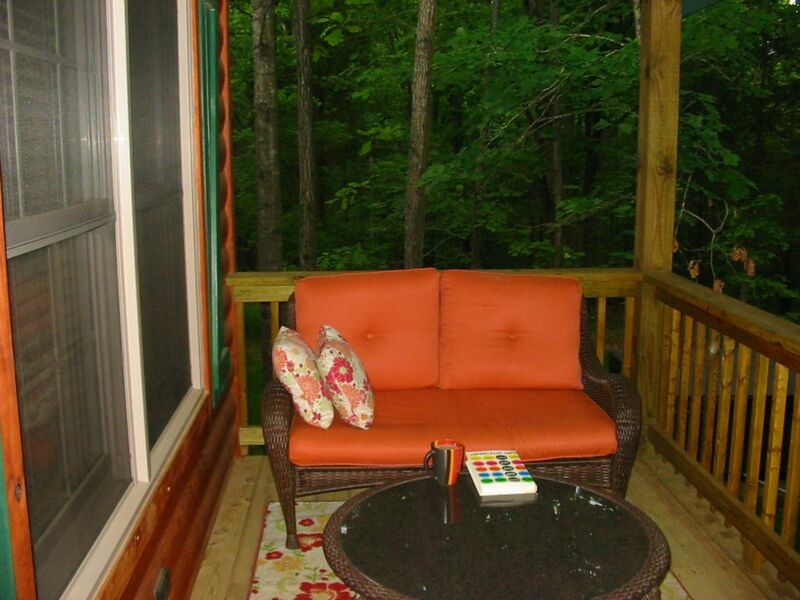 The private hot tub sets outside on the deck under the stars. A charcoal grill is at your back door waiting for your nourishment of choice. 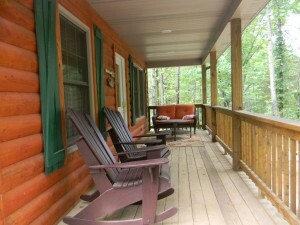 An outdoor swing is only a few steps from the cabin. It sets on top of a small bluff so that you can watch the birds, critters or sit in peace and read.